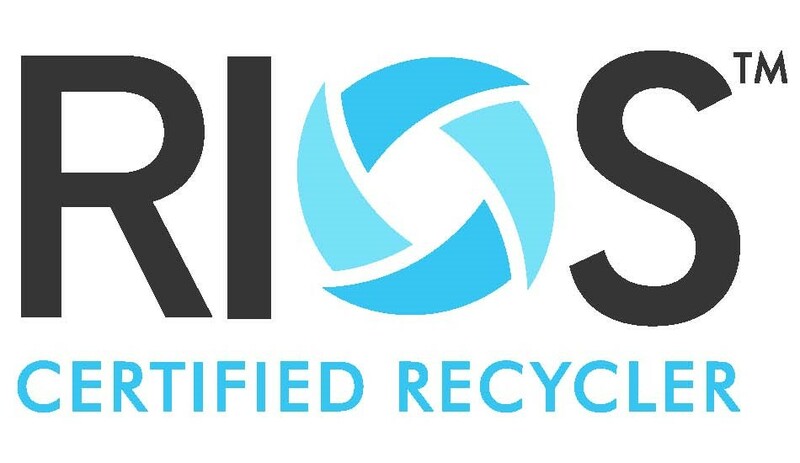 The 2013 E-Scrap Conference in Orlando concluded yesterday with a debate between ISRI’s Eric Harris and Neil Peters-Michaud of CAER over the legitimacy of HR 2791 (RERA), introduced in the House of Representatives recently by Congressman Gene Green of Texas. Harris made a compelling case against the legislation arguing that the market conditions don’t support the need for such extreme trade restrictions. He cited a March 2013 report on the export of UEPs by the U.S. International Trade Commission (ITC), the International Data Corporation survey, as well as a green paper issued by the United Nations University, which all discuss the significant positive changes in both U.S. and foreign practices involving electronics recycling and exports – including new recycling technologies, environmental, health and safety certification standards, new regulations and greater enforcement. The ITC found that only 5.1 percent of all used electronics products (UEPs) collected each year in the U.S. are currently at risk for improper recycling and disposal. The U.S. market is recycling over 80 of all the UEPs being collected. And the vast majority of exports are either shipped as commodity grade materials or tested fully functioning devices. ISRI’s government relations department has been actively meeting with members of Congress over the issue, and according to Harris, “When [members of Congress] looked at the issue, they said, ‘What’s the problem?’” The bill is currently not on any legislative calendars. In the unlikely event the bill were to pass, Harris made the case that it would violate a number of U.S. trade obligations by discriminating against developing countries and economies in transition and move the industry into hazardous waste management. Peters-Michaud argued the potential regulations is necessary to put domestic processors on a level playing field with less sophisticated overseas processors. Harris challenged the assertion asking, is this about protecting the environment or about protecting certain commercial interests? Many are starting to suspect that it is the latter. The 2013 E-Scrap Conference will close later today with Institute of Scrap Recycling Industry’s Eric Harris laying out the facts as to why the “Responsible Electronics Recycling Act” (RERA) is not the solution. Despite its misleading name, Harris will point to a body of evidence showing the legislation is quite the opposite of responsible. H.R. 2791, introduced this summer by Rep. Gene Green (TX-29) will negatively influence recycling efforts by undermining existing policies and initiatives, such as those proposed by the Obama Administration and the Interagency Task Force on Federal Electronics Stewardship, and will also violate international trade laws by unilaterally and arbitrarily banning exports to certain countries. “The recycling industry applauds the Coalition for American Electronics Recycling (CAER) and Congressman Green for introducing legislation with the goal of advancing responsible electronics recycling, but like H.R. 2791’s predecessors, the bill is fatally flawed,” said Robin Wiener, president of ISRI. “This bill will do nothing to end irresponsible recycling, and further, will limit any opportunity to promote environmentally sound electronics recycling standards in other countries by perpetuating the outdated approach of identifying environmental risk based simply on geographic location rather than responsible operating practices. The recycling industry supports efforts that contribute to responsible recycling globally and job creation within the U.S. The best way to accomplish this is through strict enforcement of current laws – domestic and international; restrictions (such as notification, recordkeeping and due diligence requirements) on the export of unprocessed, non-working UEPs to any country for the purpose of recycling, reuse or refurbishment; a ban on the export of UEPs for landfill or incineration for disposal; and the promotion of global trade in tested, working UEPs for reuse and commodity grade e-scrap for recycling by industrial consumers worldwide. “We support shutting down bad actors that refuse to recycle responsibly, but we fundamentally disagree with the approach of H.R. 2971 and do not believe that onerous regulations based on misinformation, as clearly stated in the U.S. ITC report, will address the problem,” said Lane Epperson, president and co-founder of HiTech Assets, Inc., an IT asset disposition provider in Oklahoma City, OK, and Memphis, TN. A March 2013 report on the export of UEPs by the U.S. International Trade Commission, as well as a recent green paper issued by the United Nations University, both discuss the significant positive changes in both U.S. and foreign practices involving electronics recycling and exports – including new recycling technologies, environmental, health and safety certification standards, and new regulations and greater enforcement – since the initial NGO anecdotes on the informal sector were released more than 10 years ago, and should have never been relied upon. Unfortunately, H.R. 2791 does just that – it relies upon the false premise that up to 80 percent of UEPs collected in the U.S. are exported and dumped in non-OECD countries located outside the EU – a statistic unchanged and put forward by CAER and the Basel Action Network repeatedly before the earliest versions of H.R. 2791 were introduced back in 2009. In contrast, the ITC found that only 5.1 percent of all UEPs collected each year in the U.S. are currently at risk for improper recycling and disposal. The session takes place from 1 – 2:30 p.m. in the National Ballrooms C-D.